Originally available in only matte black, the new marine-grade stainless edition has many functional features including flame failure safety device, four stainless steel burners, a cast-iron plate, two ribbed griddle plates that are interchangeable to create multiple cooking environments and side knob controls. 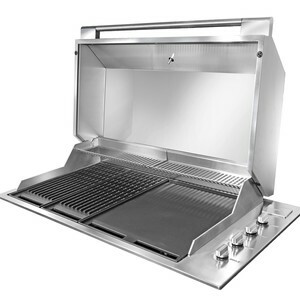 There is also an added option of two different hoods, a dome hood or a flat BBQ lid making it suitable for either a conventional or contemporary outdoor space. 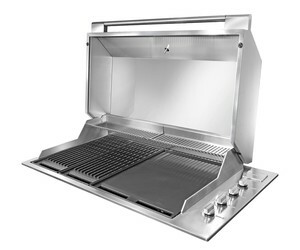 I am interested in Artusi Appliances stainless steel built-in barbecue .